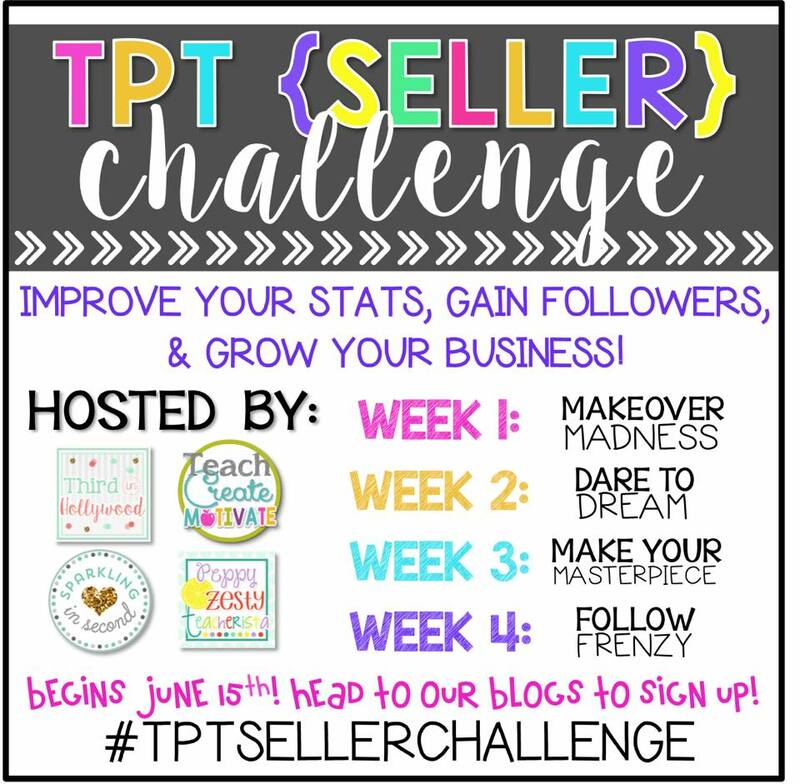 Well, I’ve decided to jump on the bandwagon and participate the the TPT Seller Challenge that is going on right now! I’ve been promising myself that I would try my hand at creating some products this summer, now that grad school is over. This challenge seemed like the perfect nudge in that direction! I have to say that I am truly amazed by how big the challenge has gotten… Even Teachers Pay Teachers caught wind and got on board. At last count there were close to 300 participants!!! It’s pretty cool to check it out and see a lot of other teacher-preneurs who are either revamping their old products or just starting out like me. I’m definitely looking forward to the next four weeks and making some great new connections. A huge hats off to Third in Hollywood, Sparkling in Second, Peppy, Zesty Teacherista, and Teach, Create, Motivate for putting this on! You can visit any one of their blogs for information and to join. 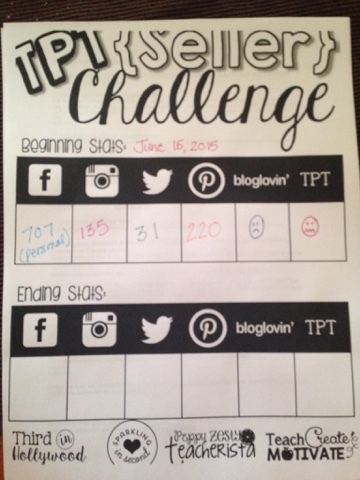 Stay tuned for a posting of this weeks challenge!